Responsible Methods for GUARANTEED Scorpion & Pest Control in Chandler and Greater Phoenix that’s FRIENDLY to Family & Pets! Responsible’s pest & scorpion control Pro’s are dedicated to providing GUARANTEED services with effective yet friendly products, and family friendly applications! Providing SUPERIOR treatments with effective & friendly products, RESPONSIBLE application methods, 25+ years of experience, continuing EDUCATION & training, and paying attention to DETAILS. Join 1000’s of happy customers living scorpion & pest FREE in Chandler & Greater Phoenix AZ! Responsible’s Pest Control Pro’s make your family & pets safety top priority when choosing products & application methods. So they target specific areas bugs live, breed and feed! To effectively eliminate pests without affecting your family & pets! Providing SUPERIOR service at AFFORDABLE prices. We’ll answer your questions, give courtesy CALLS, wear BOOTIES inside, SWEEP Spider WEBS, do FREE Termite Inspections, and pay attention to DETAILS! Join 1,00′s of HAPPY CUSTOMERS living Scorpion & PEST FREE in Chandler AZ – GUARANTEED! Responsible’s Expert Techs know WHICH PRODUCTS work and WHERE they work delivering EFFECTIVE Scorpion Control in Chandler AZ that KILLS SCORPIONS themselves, not JUST the bugs they feed on ~ GUARANTEED! 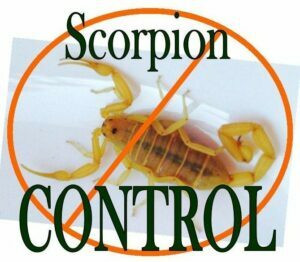 Responsible Pest Control Chandler AZ has spent hours collecting bark scorpions for product testing. Our experience and results have allowed us to develop a Scorpion Treatment that really works! We recommend monthly maintenance service for optimum Scorpion Control in Chandler AZ. IF you SEE SCORPIONS while on our service they will be DEAD, or slow and DYING ~ GUARANTEED! Responsible Pest Control Chandler GUARANTEES each service with FREE re-treats. If you have a bug invasion for any reason between regular services, give us a jingle & consider it done! If you ever get a bug intrusion between your regular services, give us a call (or text or email) and We’ll schedule you for a re-treat right away, at no cost to you! Responsible Pest Control’s monthly scorpion control service also ELIMINATES all other general desert PESTS! Right after your Initial Clean Out scorpions, and other pests, will be coming out into the open dying. Scorpions will keep coming from: the desert, green belts, and neighboring properties. After coming in contact with our treatment, scorpions get slower and slower till dead. The dying process can take an hour or two. To get the most effective Scorpion Control in Chandler AZ have regular pest control services year round. Chandler AZ scorpions (and Bark Scorpions) live all year long. They are very resilient, and can survive the coldest temperatures our desert may have. Most scorpions are solitary, but in the winter Bark Scorpions will gather in groups of 20 to 30. No one wants that in their home or yard! Scorpions need food, moisture, & shelter to thrive. When you remove scorpion resources from your environment you’ll get the Best Scorpion Control results! Scorpions hide, during the day, under tree bark, rocks, & debris. – Remove these. Scorpions seek water, usually provided by watering, for themselves & their prey. ~ Make sure your watering system isn’t over watering or broken. Scorpions are commonly found in homes, & only NEED a 1/16 inch opening to enter. Make sure Door Sweeps & Weather-Stripping are in good order. Silicone CAULK around doors, windows, and utility pipes or wires entering your home. SCREEN Vents into your home. CHANGE OUT exterior light bulbs to Yellow Bulbs ~ They’re less attractive to MANY MANY bugs like: beetles, crickets, moths, flies, & SCORPIONS that feed on them!!! Customized SOLUTIONS may be suggested by your Tech specific to your home & yard.